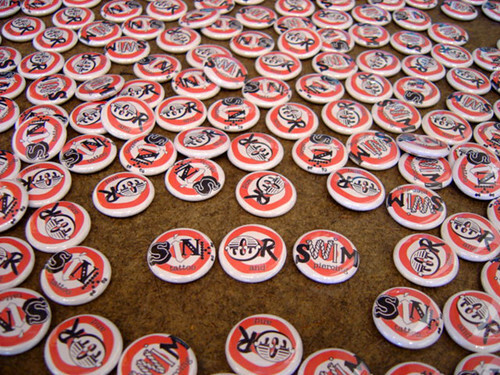 Here are some buttons I made last night for Sink Or Swim Tattoo. Gary, aka: Mr. Sawdust (follow him on twitter), will be at the Musink Tattoo Convention and Music Festival next weekend and wanted some promotional goodies. He sent his designs yesterday and was able to pick these up this morning. Pretty good turnaround time, if you ask me. Also, I think they turned out awesome.